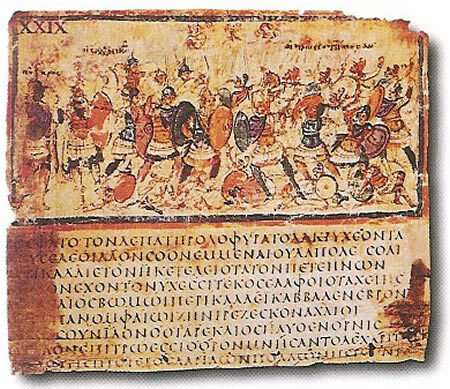 The Iliad is the oldest surviving work of Greek literature. It was an oral epic poem. People spoke it without reading it. It was written down in the 8th century BC. It is an epic (or very long) poem with 24 chapters written in hexameter. It is probably based on a real event, the attack on Troy by the Mycenaeans. The poem includes early Greek myths and legends. People usually say that Homer wrote the Iliad. However, scholars are not sure if the poem was really written by just one person. The story happens during the Trojan War. It talks about the confrontations of the warrior Achilles and King Agamemnon. The story is only about a few weeks at the end of the war, but it also talks about many of the Greek myths about the war. It tells the story from the wrath of Achilles, to the death and funeral of Hector and the siege of Troy. Together with its sequel, the Odyssey, it is one of the two major Greek epic poetry. 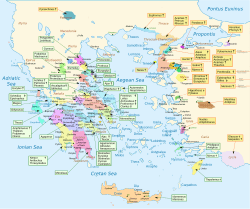 Some important characters in the Iliad are Achilles, Odysseus, Agamemnon, Menelaus, Priam, Hector, Paris, and Helen. The poem starts with the god Apollo having sent a plague to the Greeks, because they captured the daughter of one of his priests. Agamemnon is forced to give her back, but also takes away Briseis from her owner Achilles. 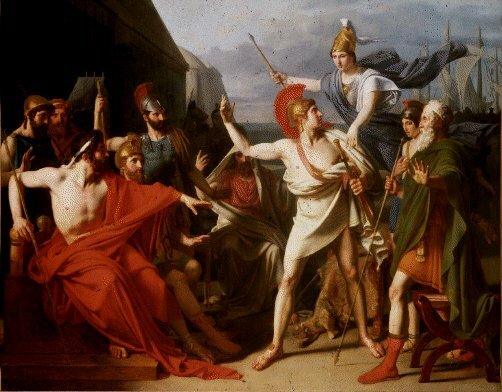 Achilles is angry and refuses to fight. But when his friend Patroclus is killed by Hector, he starts to fight again and kills Hector in a duel. Later Hector's father Priam comes in secret to Achilles to take back his favorite son's body to give it a proper funeral, which Achilles allows him to do. The poem ends with the funeral of Hector. Achilles Slays Hector, by Peter Paul Rubens (1630–35). Wenceslas Hollar's engraved title page of a 1660 edition of the Iliad, translated by John Ogilby. Iliad Facts for Kids. Kiddle Encyclopedia.